LEDtronics Sdn. Bhd., established since 1997 is based in Petaling Jaya, Malaysia. Founded and managed by a group of highly skilled professionals, LEDtronics started its manufacturing operations in 1998 as a JV and Technology Partner of Daktronics Inc, USA, servicing the Southeast Asia market and since then had manufactured and installed thousands of LED displays for hundreds of clients across the Southeast Asia region. Formed 51% Malaysian-owned JV and Technology Partner with Daktronics, Inc. USA. Started manufacturing and export of LED indoor modules to States. Secured first local-made indoor tri-color display project from Kimberley-Clark. LEDtronics is granted ‘Pioneer Status’ from MIDA. Moved to a factory in Sri Damansara with 1,700 sqm area. Increased paid-up capital to RM 3mil. Secured passenger information display system project for KL Sentral Station. Project value RM 850k. Installed our first 16mm outdoor commercial ProStar LED video display for First World Hotel, Genting Highlands in Malaysia. Project value RM 2.4mil. Installed transportation projects for SPRINT and AKLEH. Project value RM 520k and RM 845k. Installed our first 23mm outdoor sports ProStar LED video display for Stadium Darul Aman, Kedah. Project value RM 2.7mil. Started manufacturing custom-made Portable VMS to PROPEL. Project value RM 836k for 26 nos. Installed our first aquatics scoreboard and timing System for Kompleks Sungai Tua, Gombak. Project value RM 310k. Exported and installed our first 23mm outdoor ProStar LED at National Bookstore in the Philippines. Project value RM 342k. Exported and installed our first 34mm LED video display for Main Stadium, Palembang, Indonesia. Project value RM 760k. Installed flight information display system at Surabaya Airport, Indonesia. Project value RM 550k. Installed our first LED video display for Suntec Singapore Convention Centre in Singapore. Project value RM 3.5mil. Secured passenger information display system project for CIQ, Johor. Project value RM 2mil. Received a 5 years extension of ‘Pioneer Status’ from MIDA. Installed LED digital billboard for Sampoerna @ Harmoni, Jakarta, Indonesia. Project value RM 962k. Installed our first LED Video Messaging Display, Galaxy Pro for Perpustakaan Terengganu. Moved to Puchong factory, with 2,500 sqm area. Installed 3 nos. of LED video display for Royal Malaysian Navy Camp, Lumut. Project value RM 2.4mil. Installed our first HD Series LED video display for Tourism Ministry at MTC Jalan Ampang. Project value RM 1.1mil. Installed LED video display at the Curve shopping mall for Boustead Petroleum. Project value RM 2.5mil. Secured passenger information display system project for JB Sentral, Johor. Project value RM 1.2mil. LEDtronics became 100% Malaysian-owned. Moved sales & service office to Kota Damansara office and factory/warehouse to Ampang. Installed the 2nd LED video display at the Curve shopping mall for Boustead Petroleum. Project value RM 1mil. Installed a LED video display at Plaza Mont Kiara and Solaris Dutamas for Sunrise Berhad. Project value RM 1.4mil. Secured order for Aquatics Timing System, Brunei; Mont' Kiara International School and Phuket International Academy. Project value RM 800k. Won public tender for UNIMAS Sarawak at RM 3mil for the supply and installation of 4 nos. of outdoor LED displays. Installed outdoor 21mm LED display for AETAS Lumpini hotel, Bangkok. Installed a 6mm indoor LED display for Grace Assembly and 7.62m indoor LED display for UKM Bangi. Installed LED video display for UiTM, Shah Alam and Sri Kortumali restaurant. Installed marketing hoarding for 1MDB. Installed LED Acrylic Letters for Billboard, Hillside Signage and Giant Palm Tree for Desa ParkCity. Installed the first-of-its-kind 4-sided digital billboards at 3 LRT pillars in Bukit Bintang. Installed the first-of-its-kind 15'x40' digital billboard at Bangsar Shopping Centre. Installed a wall-mounted digital billboard at Wisma AIA, Jalan Ampang. Completion within 1 month. Installed another 4-sided digital billboards at 3 LRT pillars along Jalan Sultan Ismail. Installed 4-sided digital billboards at LRT pillars in Bangsar. Installed biggest curve screen in Malaysia of the size 6.72m (H) x 28.8m (W) for Metro Hotel. 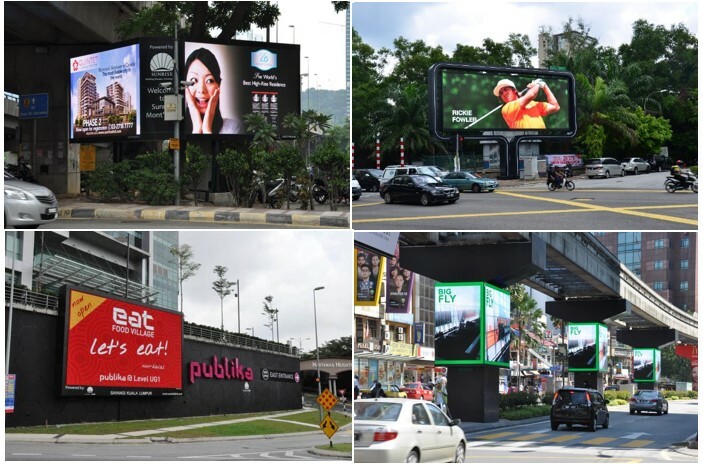 LEDtronics embarked on a new mission to create a portfolio of bespoke advertising sites for our clients in Malaysia. First venture is at Jalan Munshi Abdullah, followed by Damansara Perdana. 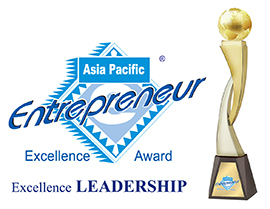 Won the 2017 Asia Pacific Entrepreneur Excellence Award - Excellence Leadership award.